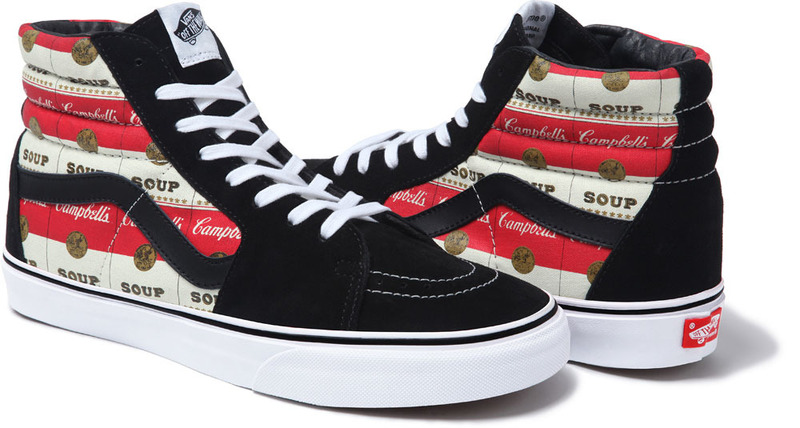 Supreme rolls out its new pop art-inspired capsule collection with Campbell's this Thursday. 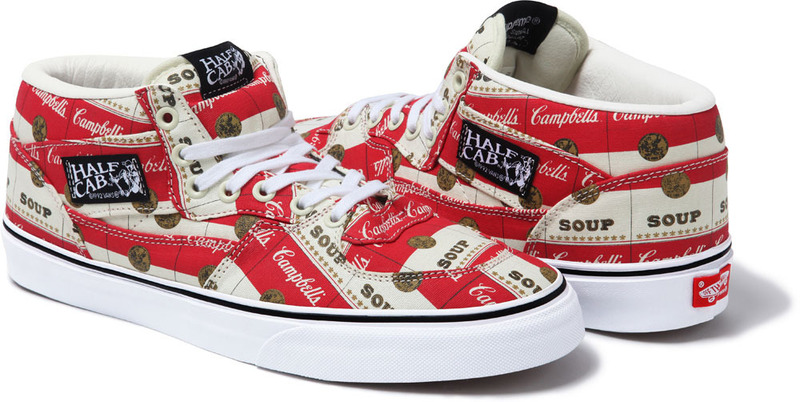 First previewed in March, Supreme readies to roll out its new Campbell's Soup capsule collection this week, featuring a series of products utilizing the iconic soup can label. 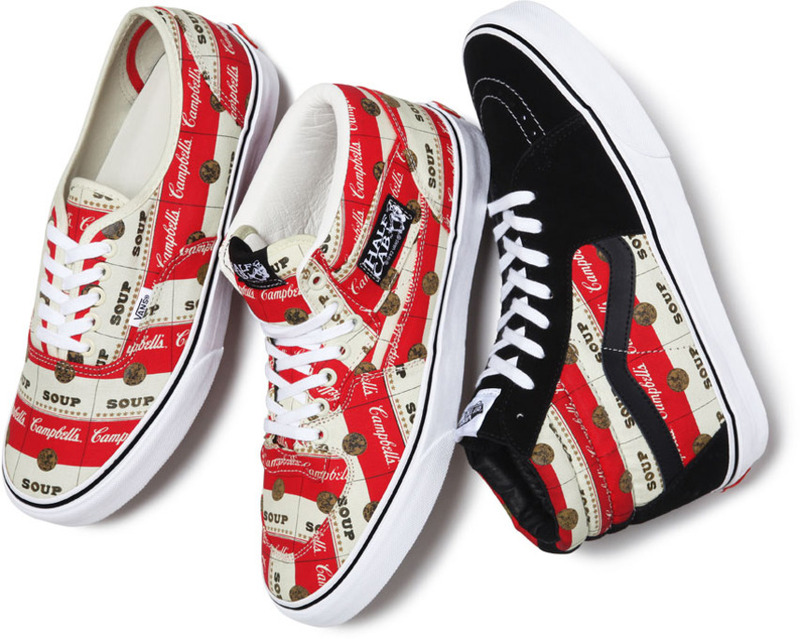 Highlighting the collection, Supreme teamed up with Campbell's and Vans on collaborative versions of the Sk8-Hi, Half Cab and Authentic. 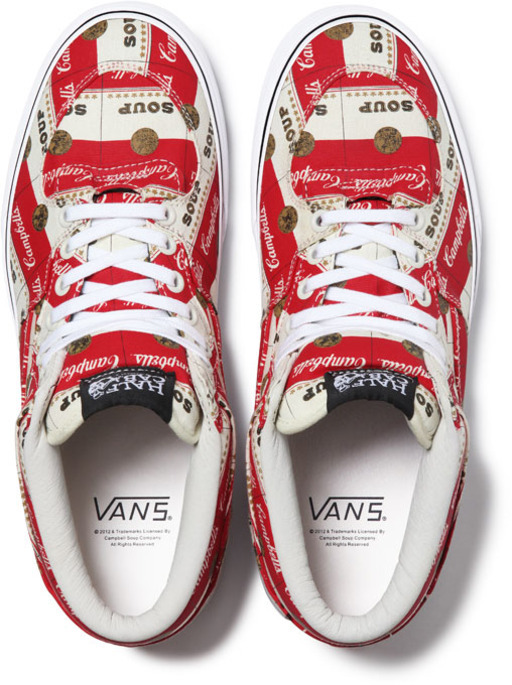 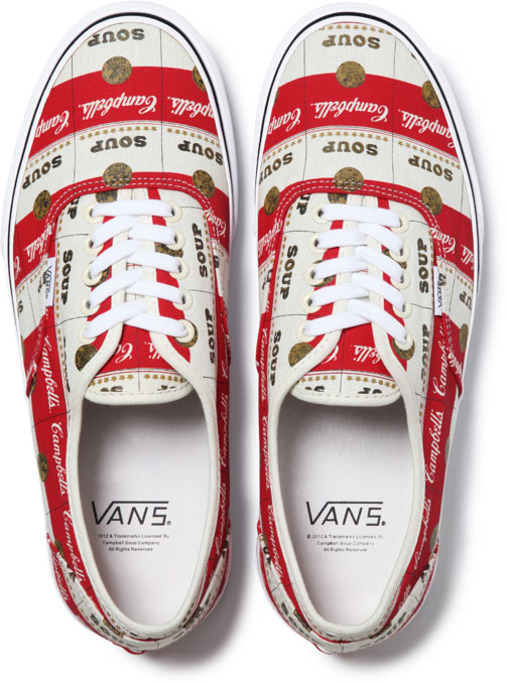 All three shoes feature repetitive soup can graphics in a manner reminiscent of Andy Warhol's 1960s pop art. 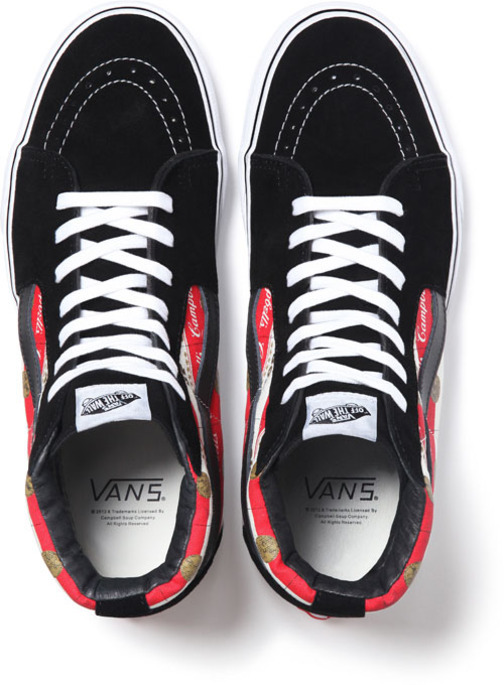 In addition to the footwear styles, the collection also features an all-over graphic tee and a 5-panel cap in three different colors. 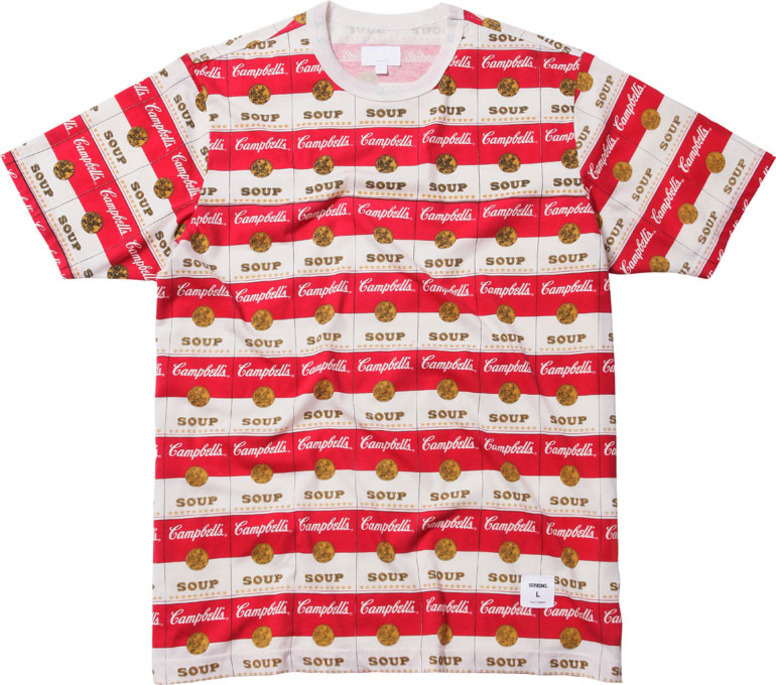 Supreme's Campbell's Soup collection drops in-store and online this Thursday, May 10 (available now in Japan).